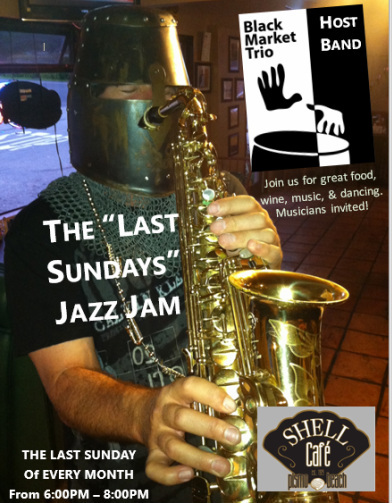 April marked the last Last Sundays Jazz Jam at Shell Cafe in Pismo Beach. We're on the look-out for a new location who might want to host this jam. Contact us for details. ALWAYS the LAST SUNDAY of the MONTH! All the cool jazz cats and smokin' players on the Central Coast gather for the Last Sundays Jazz Jam. This is definitely a lively jam, with everything from jazz traditionals to jazz funk - you just never know what to expect with our local aces Black Market Trio leading the jam. Come out, bring friends, and join the fun! Black Market Trio, one of SLO’s most popular jazz groups plays latin, swing, funk and soul for your listening and dancing pleasure. Black Market Trio is the host of the Last Sundays Jazz Jam, which began in March of 2013 and ran concurrently through April of 2014. 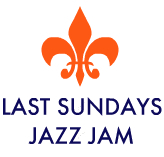 The Last Sundays Jazz Jam is always held the Last Sunday of the month. Musicians: bring your ax! Dancers: bring your dancin' shoes! Everybody else, bring your smile and a good time is bound to happen. See you there!